- WWII Girls Baseball Lge. Prairie Star Productions creates marketing, advertising, and training films; and other cultural and historically based productions and events through Film, Video, Television, and Live Performances. Led by Director, Producer, and Performer Rebecca Tulloch, Prairie Star Productions has been inspiring audiences for over 15 years through various performance and entertainment mediums. 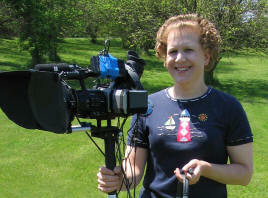 An accomplished Director and Film Maker, Rebecca Tulloch produces award winning independent films, cable television shows, and live television broadcasts. Ms. Tulloch is a well rounded film maker with experience in every aspect of film and television production from Camera Operation and Lighting to Editing and Distribution. As an performer, Rebecca regularly entertains and educates audiences at libraries, schools, museums, civic groups, and others with her fascinating and well researched historical presentations and portrayals. 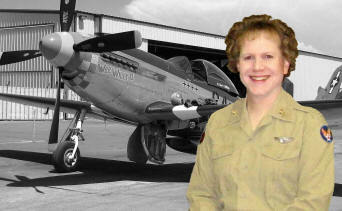 Presentations and lectures span the centuries from the Middle Ages through heroines of WW2. Prairie Star Productions also maintains the only casting database in the American Heartland of actors and military re-enactors who portray and interpret various historical figures from the past from Queen Elizabeth Tudor to WW2 American President FDR. The data base contains information on Civil War Re-enactors, American Revolutionary War Soldiers, and WW2 Interpreters; even hard to find living historians who portray the Greeks, Romans and Crusaders. Actors in the database are ready with their own wardrobe, canons, and props to appear as actors and background characters for films, television projects, or even a corporate event. With an Bachelors Degree in History and a Masters Degree in Management from Northern Illinois University, Ms. Tulloch skillfully applies her experience and creativity to work for her customers in the planning and organizing of large scale imaginative events and performances. Phone or Email Prairie Star Productions the next time you need to create a unique production with talent, experience and creativity on your team. 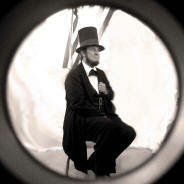 The "LETTERS OF THE CIVIL WAR" presentation is a big hit with Libraries, Schools, Museums, and special events. A 60 Minute Audio Video Performance with costumed Civil War Actors dramatically interpreting over 30 original letters from the American Civil War accompanied by music, period photographs, and historical reenactment video footage. 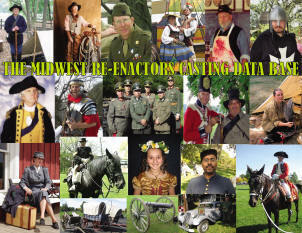 RE-ENACTORS: Join the Midwest Re-enactors Casting Data Base (MRCD) where you can be listed free of charge for potential film, television, and special events casting opportunities. Prairie Star Productions On-Line Store! 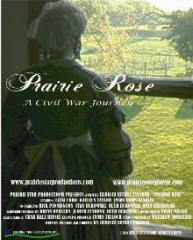 Purchase films and DVDs such "Prairie Rose"a dramatic Civil War film, Winner of the the Edgerton Wisconsin Film Festival for Best Feature in 2008; and "An Evening with Mr. and Mrs. Lincoln" on DVD, starring Max and Donna Daniels Now on sale at the Prairie Shop. Audience Participation Simulated Civil War Style Images photographed during performances. On Location during the filming of Prairietone News! © 2003-2017 Prairie Star Productions. All Rights Reserved.